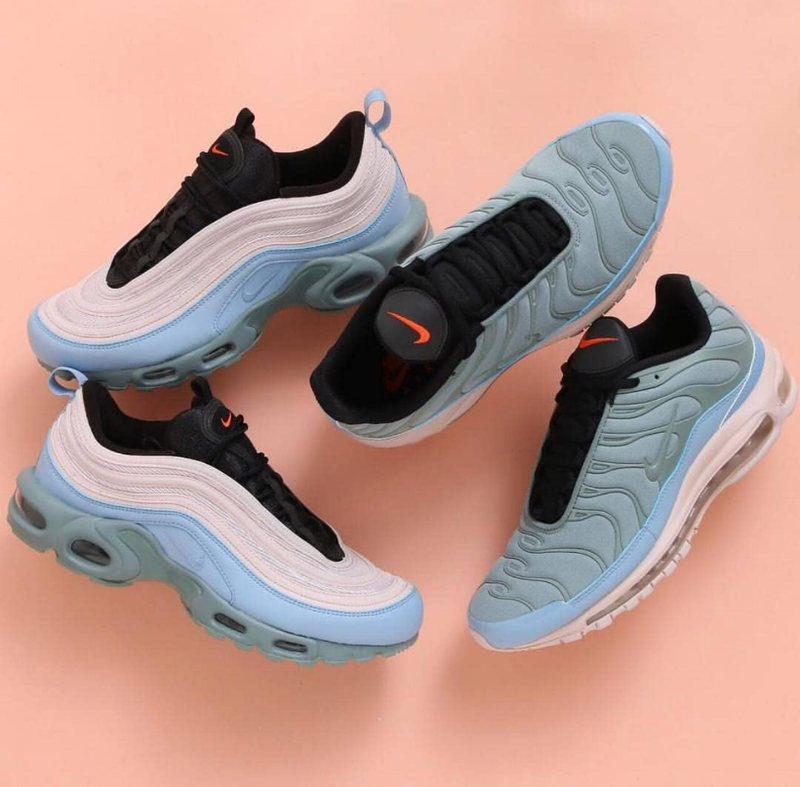 Most of us have been raving over the heavy return of the Nike Air Max 97 and the Nike Air Max Plus silhouettes. If you're a sneaker lover that grew up in the 90s, these releases have been pure nostalgia. Well, the Swoosh has been giving these kicks a makeover by way of sole swapping. Taking one midsole and putting it on another silhouette. The latest Air Max duo trade soles while rockin' some cool color contrasts. The Nike Air Max Plus keeps its signature style, but provides a midsole twist by adding the Air Max 97 sole instead. The upper is dressed in a "Mica Green" colorway while "Leche Blue" hits the mudguard and overlays. The visible air max unit comes in a "Barely Rose" hue. The black lacing system really set these soft colors off. These are available now overseas via TITOLO and you can grab below with our SHOP THE SNEAKS button for about $243 USD excluding international shipping costs. 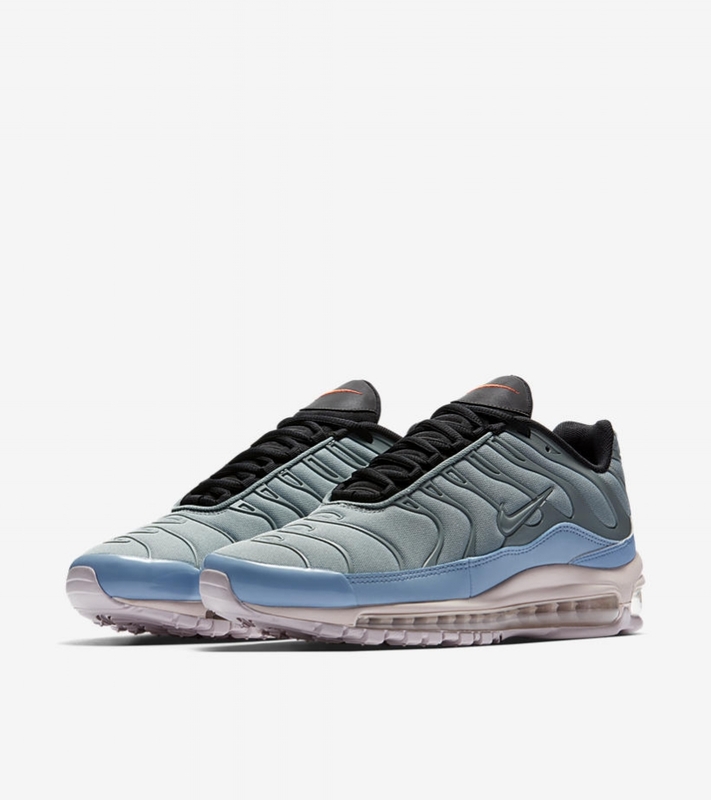 UPDATE: These will be dropping stateside 2/20 for $175 USD on the SNKRS App below. SHOP THE SNEAKS: NIKE AIR MAX PLUS "MAX MIX"
The Nike Air Max 97 silhouette has a similar colorway using the "Barely Rose" as the primary tone in the upper. The lower portion of the wave design switches to a "Leche Blue". 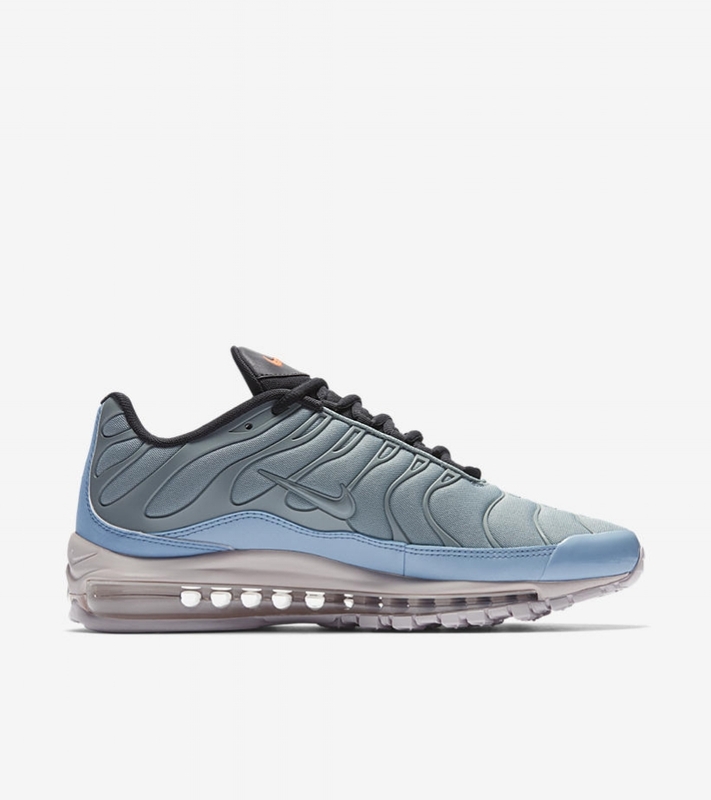 This AM97 swaps the sole for the Air Max Plus midsole, which is dressed in "Mica Green". You can grab this version below from TITOLO with our SHOP THE SNEAKS button for about $233 USD excluding international shipping costs. 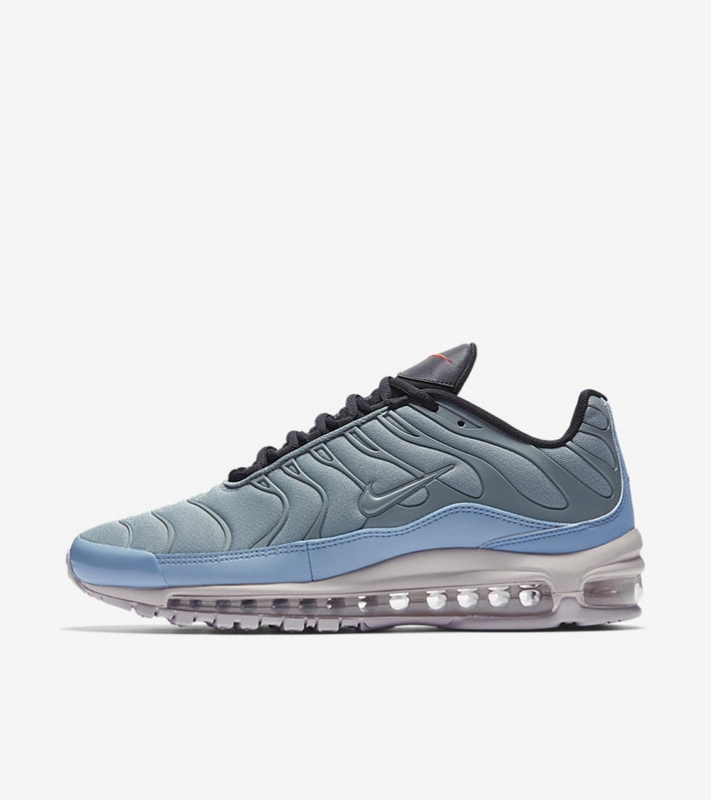 UPDATE: These will be dropping stateside 2/20 for $160 USD on the SNKRS App below. SHOP THE SNEAKS: NIKE AIR MAX 97 "LAYER CAKE"
What are your thoughts on these two colorways? We are feelin' these Euro releases and they have plenty of sizes available for the small feet tribe. If you need some additional options that are stateside, check out our picks below. Cop and flourish!